Candy and Sweets. . Wallpaper and background images in the Alpha and Omega club tagged: photo. That's Reba and Janice, not Candy and Sweets. 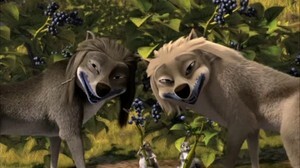 Candy and Sweets were the two Omegas that Salty tried to flirt with at the Moonlight Howl. That's Reba and Janice the Vegetarians not the eastern wolfs.